One day, as Jesus was moving through a crowd of people, He suddenly turned and asked, "Who touched me?" The question confused His disciples. Anyone in the throng could have accidentally bumped against Him. Then Jesus said, "Somebody hath touched me: for I perceive that virtue [power] is gone out of me." The touch was an act of faith. A woman with an issue of blood had touched His garment, believing that by doing so she would be healed. And she was. When Jesus saw her, He said, "Daughter, be of good comfort: thy faith hath made thee whole." 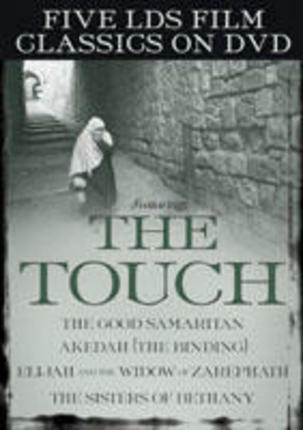 This moving account is beautifully captured in the BYU production The Touch. 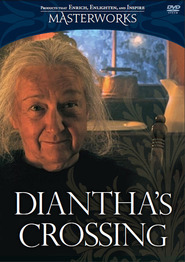 Other titles in this collection of classics, available now on DVD, include The Good Samaritan, Akedah (The Binding), Elijah and the Widow of Zaraphath, and a bonus video, The Sisters of Bethany. These biblical dramatizations bring the scriptures to life and can serve as excellent teaching tools. Perfect for family home evenings! I loved all these films. They felt not only relevant but real to me. Great actors and scenery. Buy it! LDS filmaking at its best! I was at the film festival at BYU when 'The Touch' was first shown. At the time, I was suffering from an illness that had no name, and was very frightened as a college sophomore. This film was beautiful, so uplifting and inspirational. I never understood the story as well as after that brief film. I left the theater in tears, as did many of my fellow students. I look forward to sharing this movie with my children, and seeing the other films on the dvd. I know nothing of the other films included in this set, but I am buying this for 'The Touch' alone. It is powerful, and it is worth it.